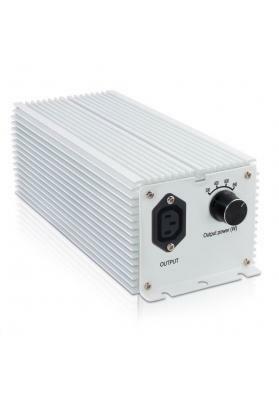 Lumatek is a perfect electronic ballast for indoor growing of Marijuana plants being able to provide 30% more light quality while saving 5% in energy consumption. Used to start HPS and MH lamps. 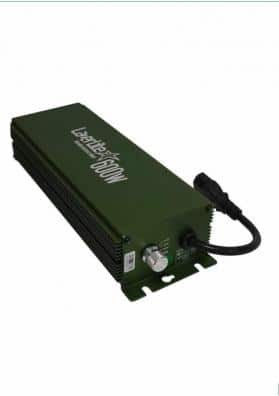 Lumatek is a perfect electronic ballast for indoor growing of Marijuana plants and can be used to start HPS and MH lamps. Available in two different powers (400W and 600W). Compared with other electromagnetic ballasts, this oen is capable of providing 30% more light quality while saving 5% in energy consumption. Normally, the electronic ballasts are safer and lighter than electromagnetic ones thus being more easy to fix them. Moreover, Lumatek has a inner resin coated that protects its components from air moisture cultivation and water splashes. It has incorporates a protection system that automatically turns off the ballast in case of overheating, short circuit or network overload. Lumatek is silent, has no fans, produce less heat and does not reduce the light quality throughout its life. It has a smooth start, yet is fast since is able to reach its maximum power in less than a minute. Besides that it is very compact with no moving parts. We recommend not changing the power in the selector with the lamp switch on as it can damage the lamp. If you need a Plug & Play plug adapted to Lumatek, you will have to buy one adapted to this model; otherwise, you will lose the 5 year warranty Lumatek offers.